Last weekend we were on our way to Monterey when I decided I would like to go to the Gilroy Outlets & go shopping instead....of course, my wonderful hubby took me to Gilroy instead & we had a wonderful time shopping for Jacob, Aaron & a little bit for Lilly!! So, this weekend, we had to make up for our loss, so we decided to make our way alllll the way to Monterey! 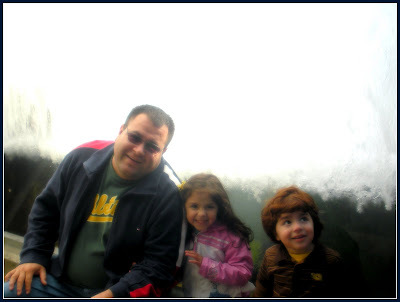 !...We wanted to take the kiddos to the Aquarium. We asked Yolanda if we could take Cousin Michelle with us and she said YES!...We were very happy to have Michelle along for the trip!!! She helped me with the babies & with my shopping..LOL.. It was a short weekend get-a-way...but it was really jam-packed with excitement & fun! We went to Fisherman's Wharf twice, we went to the beach, we went to explore the tide pools, we went to The Aquarium & Cannery Row...we had AWESOME food..and fun!! I will post pics soon...I got some GREAT pics of the sea life at the aquarium...and the kiddos! !...It was fun and relaxing to get out of town for the weekend!! 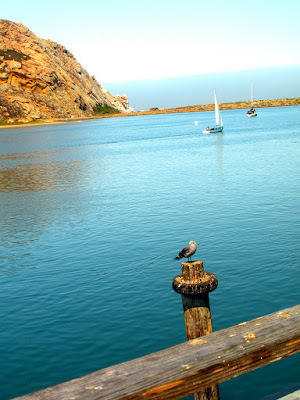 OK...UPDATE:...CLICK HERE TO SEE ALL THE PICS FROM OUR TRIP TO MONTEREY!! 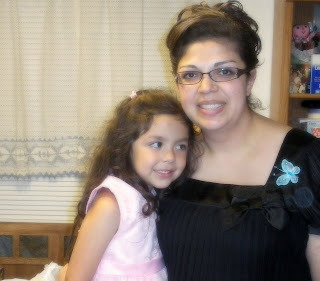 Me & my beautiful niece!! 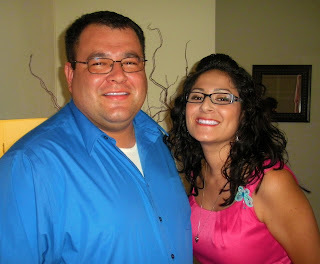 One of the best pictures ever of Gerardo & Noemi! They both look sooo good in this pic!! 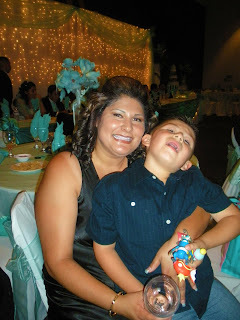 Brenda & her main man Ivan. 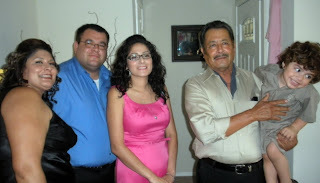 The Fam...Bren, G, Noemi, Dad Flores & Lil' Red! Me & my Lillers ready to party!! Okay, so I am sooooo late getting these pics up on the blog, but at least they are here!! LOL!! 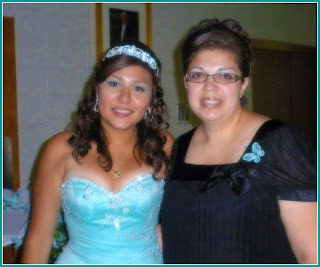 We had a really good time at Yvette's Quincenera, it was a very special day! CLICK HERE TO SEE ALL THE PICS I HAVE OF YVETTE'S QUINCE!!!!!!!!!!! 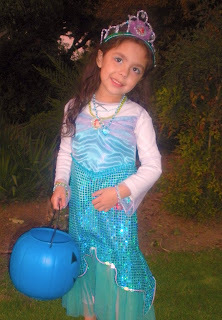 My Princess Lilly as The Little Mermaid Ariel...she is the PERFECT Princess! 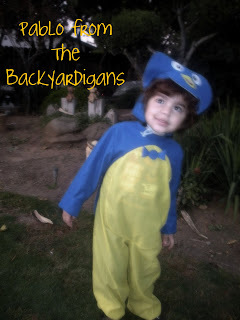 Pablo from the Backyardigans. 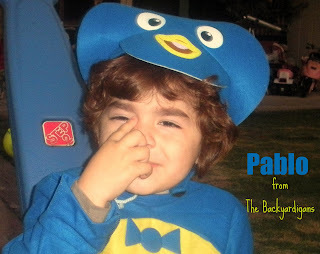 I tried to get him a different costume, but he just kept pointing & saying "Pablo"...LOL..so, he was 'meant' to be Pablo this year!! 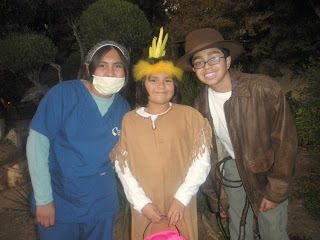 We went Trick-Or-Treating in Madera Ranchos as we do every year! It was tons of fun, the kids got tons of candy. And the kids got to go to a few 'haunted' houses!!! Aaron was so funny, he kept up with the big kids better than Lilly did!! He was determined to go to every house!! He wanted his CANDY & no one was gonna stop him, even if the houses were scary or had scary people jumping out..he didn't care...he just wanted his candy...LOL..!!! I have to say this was one of the BEST Halloween's that we have EVER had!! 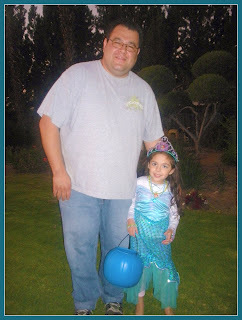 For one thing Gerardo was home, so he got to enjoy his kids Trick or Treating. Another thing is Aaron was so funny wanting to go to every house and get candy!! CLICK HERE TO SEE ALLLLL THE SPOOOOKY HALLOWEEN PICS!!! !